Originating from the town of Sparrieshoop, Germany. Wilhelm Kordes and ‘Sohnes’ has become world leaders in producing naturally disease resistant and healthy roses. Meticulously graded for quality colourful, health, vase life and most importantly fragrance. Over the years they have brought superb award winning Ground Cover Roses in their ‘County Series’ and Rose of the Year ‘Joie de Vivre’. Trevor White Roses is proud to be a leading supplier of Kordes Roses. Winning several awards every year for developing quality and hardy roses, Poulsen Roser is currently a top global breeder. They are also purveyor to The Royal Danish Court. Their RENAISSANCE® collection mixes old fashioned styled blooms and fragrance, with modern health and vigour. A famous breeder of Hybrid Perpetuals and one of the first powerhouses of creating repeat flowering and hardy varieties. Originally a gardener, Laffay’s hybridising became his true passion, we have a many of his fine creations still left today. A veteran of Napoleon’s army, Jean-Pierre Vibert turned to hybridising roses in the early nineteenth century. One of the founders of the now National Horticultural Society of France, he was truly passionate about all plants, therefore his introductions span across many groups of roses including china’s, climbers and teas. One of his most famous introductions is Aimee Vibert, a white climber, named after his wife, it is still popular today. An Anglian clergyman come rosarian. Remembered for creating the class of Hybrid Musk Roses. Pemberton founded his nursery in Romford, where he eventually was growing and selling upto 40,000 roses annually. His Hybrid Musks were most-known for their huge sprays of blooms thought to be descended from the repeat flowering rambler ‘Trier’. Today there is a Pemberton Rose Garden in his memory, which is also gathering many of the missing roses. From its origins in Yorkshire to its current site in Hitchin, Hertfordshire. Harkness Roses are continuing to produce healthy new varieties. 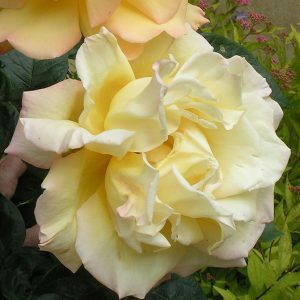 A very established rose breeder who have introduced a wide and varied of beautiful cultivars. Since the 1960s Jack Harkness has published some historical books on roses, and has made some remarkable advances in roses breeding such as the delightful purple Polyantha ‘Yesterday’. William Paul was a keen rosarian and author of many books and articles of roses. He was lecturer and great contributor to the studies of plants. He had keen interest in the exhibitions of mass blooms, which had become a sensational event in Victorian England. After his death his son continued his business until it eventually was dissolved in 1924. Robert was the gardener of Jean Pierre Vibert and after the death of Vibert, inherited his nurseries. He began introducing varieties from 1951 and later he joined with a Moreau and began under the name of Moreau-Robert. Based in Angers, France, they created many Bourbons and Hybrids for 30 years. David Austin Snr began rose growing as a hobby in the 1940s but his business came fully into fruition in the 1970s after the success of his “old world style” hybrids. Thus his cleverly named ‘English Roses’ have been loved the world over. Many are named after famous English historical authors & characters, gardeners and locations. He passed away recently leaving a world leading rose empire. Based in North German town of Uetersen, Mathias Tantau and his son Jnr became most famous for introducing many hybrid tea roses around the mid to late 20th Century. Every variety is created to look like perfection. One of the most exciting rose breeders today Chris Warner from his small nursery in Newport, Shropshire has gone on to make it big in the rose world. His Persica-Hybrids have caught the imagination of many gardeners, bringing us the central coloured blotch to roses after many years of dedication. The Barbiers nursery was run by Rene and partners in Orleans, France in the early 20th century. They introduced many spectacular wichuriana ramblers. These were often crossed with Tea roses to create big blooms. Only a few hardy varieties remain on the market today, with the rarer others displayed in specialist collections at L’Hay-les-Roses and Sangerhausen. The Dickson family are the oldest rose breeders in the the UK, spanning six generations. Based near Belfast, their spark in roses began with the gold rush of Hybrid Tea roses in the 19th Century, a fine example we still grow today is ‘Tom Wood’. Long-petalled and elegant are their main signature. Their later introductions since the 1950’s have been mostly bright coloured roses of all types. Sam McGredy and his four generations of rose breeders began their story in Portadown, Northern Ireland and has recently ended in New Zealand. Their most famous introductions were repeat flowering climbing roses. All elegant and unique. Later under Sam Mcgredy IV management, their arrival on a new continent saw them delve into brightly coloured ‘hand-painted’ varieties. Which are still very popular today, especially in the US. The Wiltshire born pioneer of Hybrid Teas. Bennett originally began his venture into roses as a hobby, but with great interest in the science. His observations from his work with livestock and food crops, made him seek a more controlled approach to hybridization. Feeling disillusioned after his trip to French Rose breeders, he took it upon himself to choosing rose parents with care. His first experiments began with Hybrid Perpetuals and Tea roses. Sensational success shortly followed and The Societe Lyonnaise d’Horticulture aptly named his pedigrees ‘Hybrid Teas’. The most influential rosarian in Germany. A wealthy and educated business man, Lamber made a success through his wide and rigorous breeding programme, ensuring his selections were void of mildew and rust. 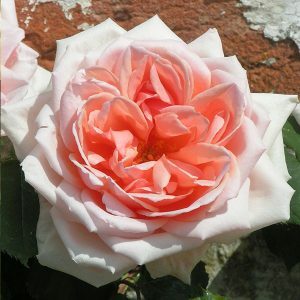 His champion repeat flowering rambler ‘Trier’, named after his hometown, has been used to develop a British group of roses known as the Hybrid Musks and then later his own ‘Lambertianas’. These are well known for the deliciously strong scent. The Bentalls were the nurserymen of the great breeder Rev Joseph Pemberton. After Pemberton’s death, they continued introducing Hybrid Musks. Their legacy can be summed up in the wonderful apricot cultivar ‘Buff Beauty’. They have been working with roses since 1850s, becoming world class rose exhibitors. In the 20th century rival firms but later mergers Frank and Ben Cants, introduced the majority of their colourful roses. Today their breeding programme has ceased but they continue to grow the best modern roses have to offer.